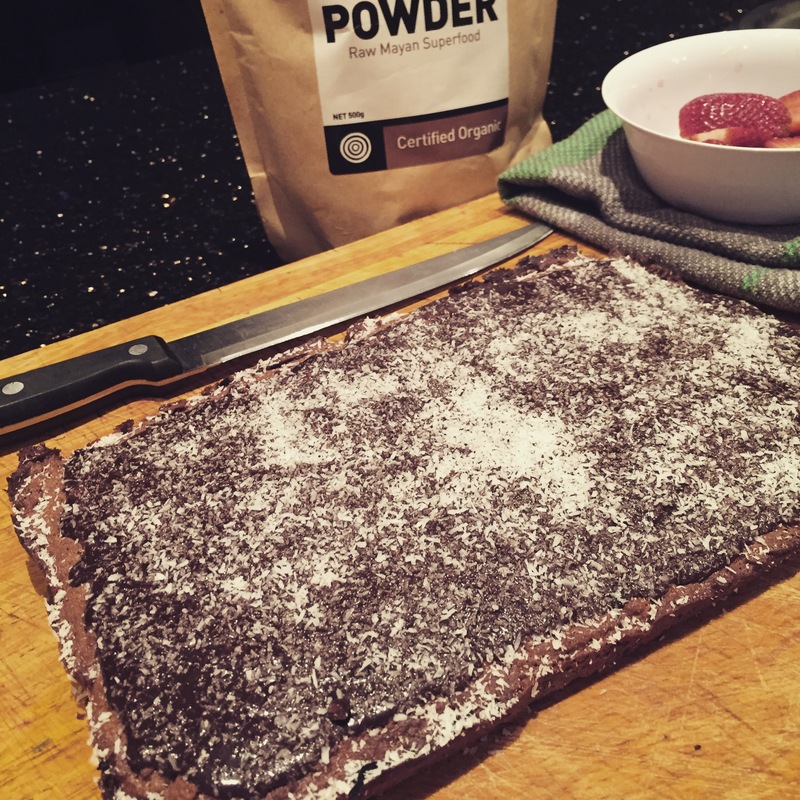 Gluten free Super Easy Cacao, Coconut and Buckwheat bars. Base: Mix ingredients together and press into a lined slice tin and cook in a moderate oven for 10-15 minutes until firm to the touch. Thermomix: chuck butter in and melt for 1 minute Speed 4 at 100 degrees. Add rest of the ingredients and mix. Icing: Place ingredients in a saucepan on low heat and melt until well combined. Ice the base after it has cooled down and top with coconut to decorate. Cut into slices and enjoy. Thermomix: Chuck ingredients in and cook 2 minutes speed 4 100 degrees. I know exactly the old fashioned slice you referring to, and I think this is a pretty good fructose free version. I think it’s yummy, so now I just need my husband and sons opinion! Looks great! Any advice on a dairy free version? Would you must use coconut oil in place of the better? Looking forward to trying it out! Yes coconut oil will work great! Sweet potato “boats” was a bit of a risk tonight, mostly because my kids don’t eat sweet potato. But y’know I had a bit of a hankering for this after I saw someone post a similar dish on Insta. Also I like to live on the edge! Throw caution to the wind! BUT THEY ALL ATE IT AND ASKED FOR SECONDS. Kids are weird guys. Was a pleasure delivering my Gut Health Workshop to SPIE Plexal today in the CBD.